much. Add the crab to the herb mix. 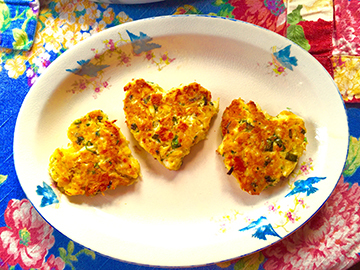 shape into 12 heart patties. until golden, adding remaining oil as needed.